Owing to efforts of Yajiro Shinagawa (1843-1900, later the Interior Minister) and Tosuke Hirata (1849-1929, later the president of sangyokumiaichuokai (general association of cooperatives)), who had met in Germany studying abroad, sangyokumiai (cooperatives) law was enacted in 1900. In the year, it has also been enacted the Insurance Business Law. Keijiro Okano (1865-1925, Doctor of Laws, later cabinet legislation bureau director), who was a bureaucrat in the Ministry of Agriculture and Commerce, played central role in drafting both of laws. Insurance Business Law allowed only company organization (stock company, mutual company) to operate insurance business. The cooperatives organizations had not been allowed insurance business. On the other hand, sangyokumiai (cooperatives) law did not include insurance business scheme. Did drafters consider legal integrity, or never image cooperatives insurance business? Yukichi Fukuzawa (1835-1901) introduced modern western insurance business for the first time in our country. He described about “fire insurance, sea insurance” in his book “The West Circumstances” published in 1866. He also introduced three types of insurance such as “life insurance, fire insurance, venue insurance” in appendix of “disaster insurance” of his book “The West Travel Guide” published in1867. In 1880, He published “The private economy book” and explained insurance business in detail. In the section of the “fire insurance,” he wrote that “There are approved mutual organization to compensate damage caused by fire or thunder against various tools, fields, the forest, etc.” This was the first literature of Japan to have introduced the insurance business systematically. In 1868 Fukuzawa transferred his Dutch studies cram school to Shiba of Tokyo (Minato-ku) and renamed it “Keio”. Later he moved the school to Mita (same) and opened the course of the “Insurance Law”. He did not have his own tackle on insurance business, but his idea was passed on to his disciples. 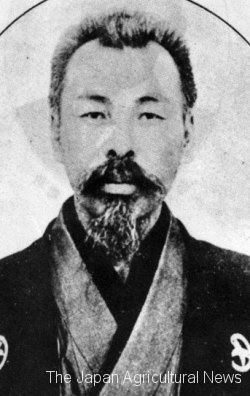 Yukichi Fukuzawa was the first Japanese person having connected insurance contract with the foreign company as an individual. Fukuzawa’s disciples, who learned the “self-help of the spirit” based on western modern thought, started the study of life insurance. 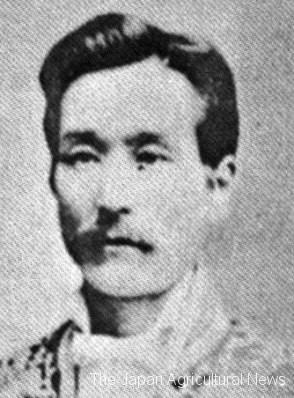 Yuteki Hayashi (1837-1901) established the first institutionalized life insurance entity. He made a “death insurance rules” as the internal regulations of his import trading company “Maruya Shokai (predecessor of Maruzen)”. The rules provided that, If the employee who had accumulated reserves died during his tenure, his or her family could receive the commensurate amount of benefits. It was life insurance itself. The idea was taken over by Taizo Abe, also Fukuzawa’s disciple (1849-1924). Abe established Meiji Life Insurance company in 1881 together with Heigoro Shoda and Nobuyoshi Koizumi (1853-1894, father of former Keio president Shinzo Koizumi). Meiji Life Insurance company had been ahead of the life insurance field until Teikoku Life Insurance company (later Asahi Life Insurance company) was established in 1921 and Nippon Life Insurance company was established in 1922. 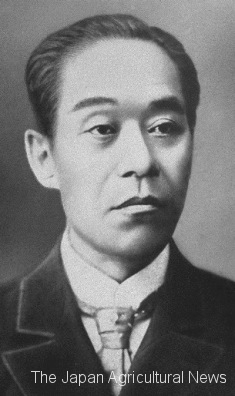 After that, in 1902, Tsuneta Yano (1866-1951), who has been visited western life insurance company, established the Dai-ichi Life Mutual company as the first mutual company in Japan. In 1904, Ikunishin Kadono (1856 – 1938) established Chiyoda Life Mutual company. Regarding property insurance, Tokio Marine Insurance Co., Ltd. was established in 1879 and the company started the cargo Insurance. In 1887, Tokyo Fire Insurance company (later Yasuda Fire Insurance, current Sompo Japan Nipponkoa) was established. After the Sino-Japanese war, companies to run the insurance business were born one after another. There were many small similar organizations. There were also speculative organizations, which lost their credit and extinguished soon. At the time, number of life insurance or similar business entities was said to have reached several hundred.